Hello there! It's time for my February Unblogged Files! February was a fun but busy month. 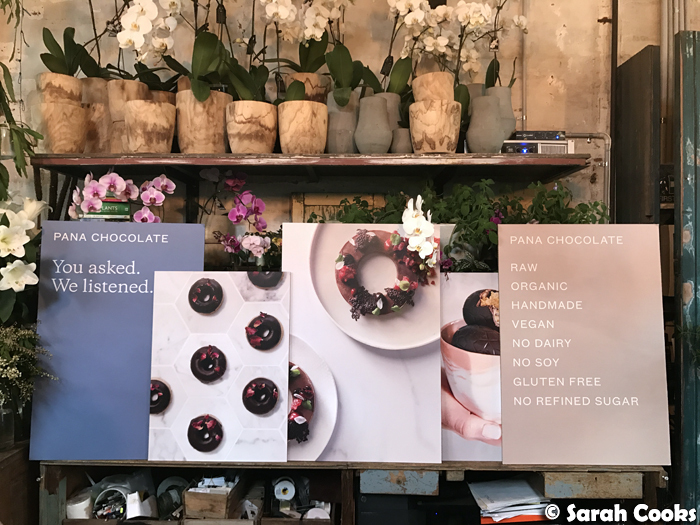 Lots of events in February - you already know about Bang Bang, but there was also the launch of the Pana Chocolate cookbook, where we got to try lots of tasty raw organic vegan desserts. 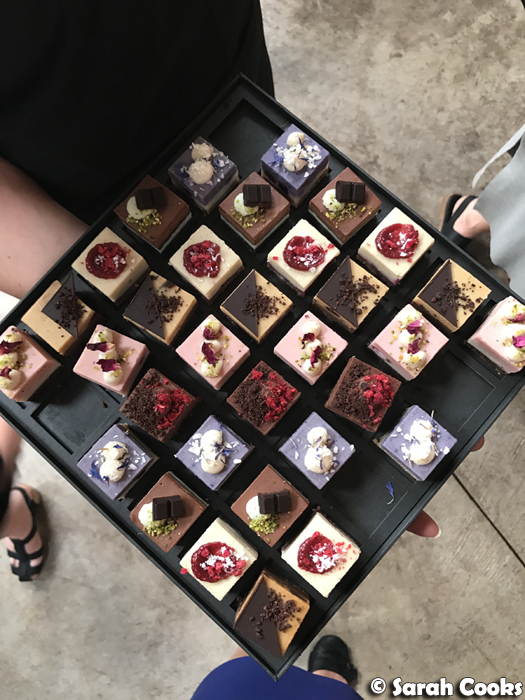 The cheesecake squares were the pick of the night! 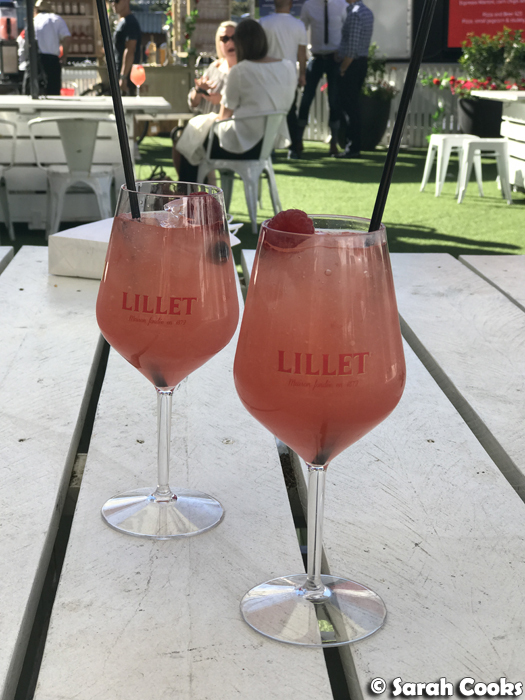 One sunny evening I was knocking back Lillet-based cocktails and freshly shucked oysters at the Lillet Secret Garden Party, down on the lawn at Common Man (39 Dukes Walk, South Wharf VIC 3006). Fun! 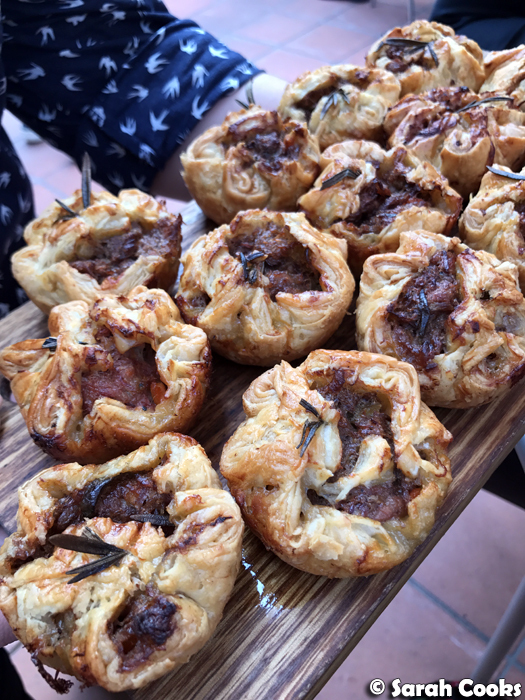 Black Star Pastry are currently running a pop-up in Melbourne (56 University St, Carlton VIC 3053), and I was lucky enough to be invited along to the launch. 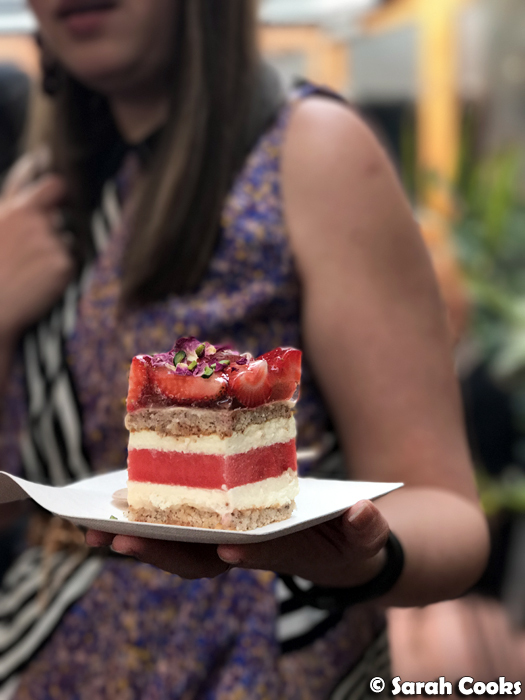 The famous strawberry watermelon cake was just as delicious as I imagined it would be, and special shout out for the incredible lamb shank pies! 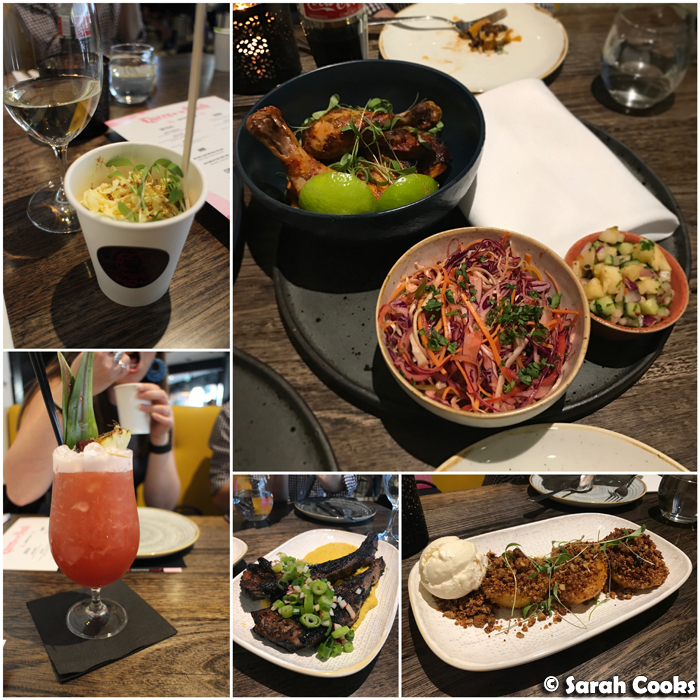 There were margaritas flowing and modern Mexican dishes on offer at the preview dinner of Queen of the South (201-209 High St, Prahran VIC 3181). 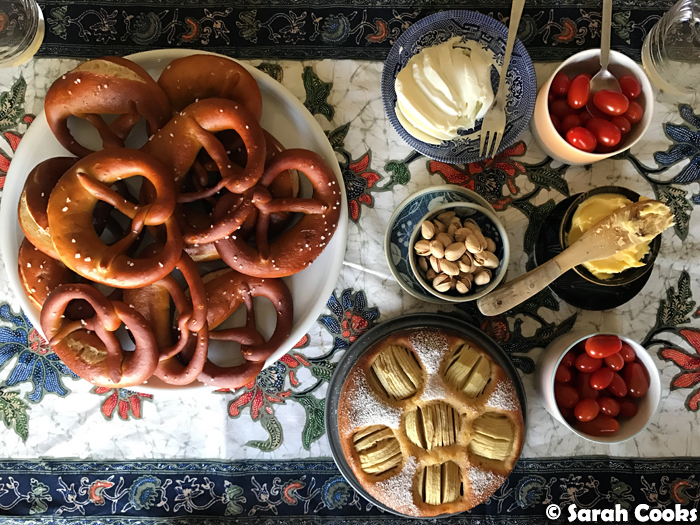 If you go, you must do the corn cups with chipotle mayo and cheese, and the fab poached peaches with hazelnut crumble and guava sorbet. And finally, I also attended the launch of Mahalo Poké (77 Swan St, Richmond VIC 3121). 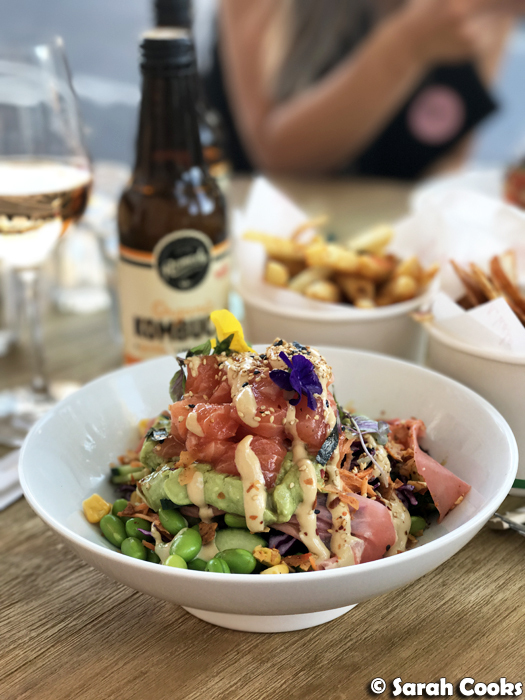 Their poké bowls, piled high with fresh salmon and loads of vegetables, totally fit in with my current healthy meal-prepping vibe. 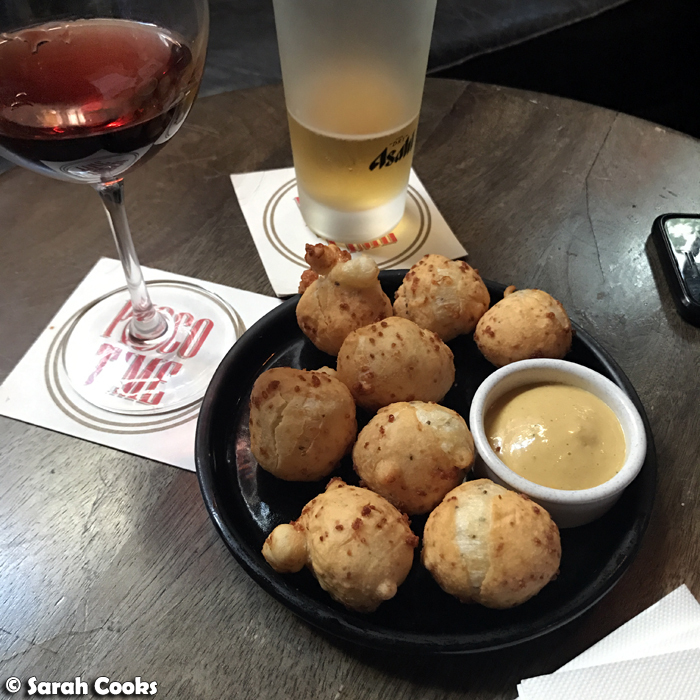 (The rosé and spicy togarashi fries, less so). 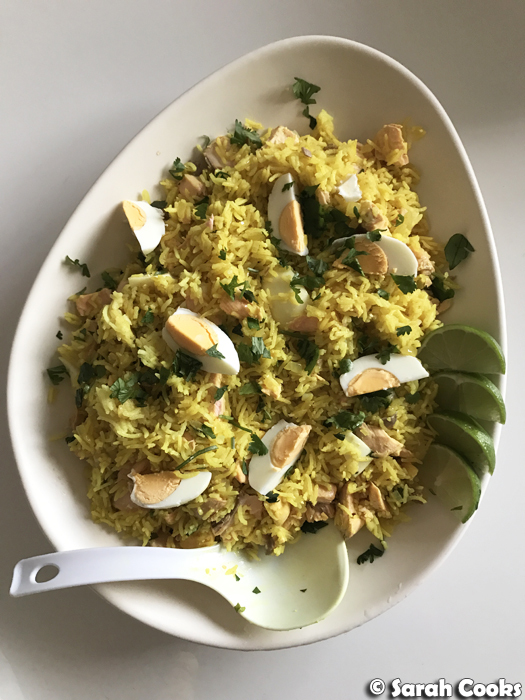 One night, I had my parents over for dinner and made an old favourite - Nigella's Asian-spiced kedgeree. I forgot how wonderful this is! Also, surprisingly delicious accompaniment - fresh guacamole. The lime-and-coriander echoes the flavours of the kedgeree and adds moisture and creaminess. 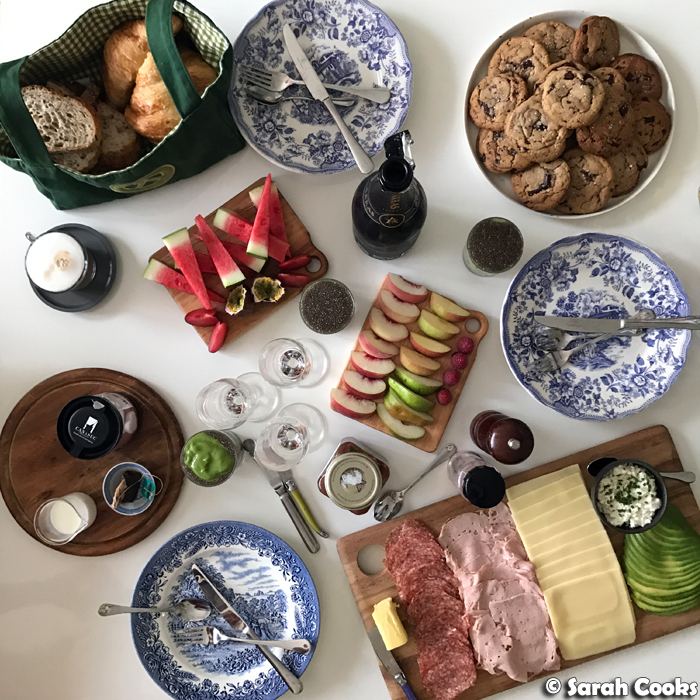 And speaking of breakfasts, here are some of my regular weekday breakfasts! 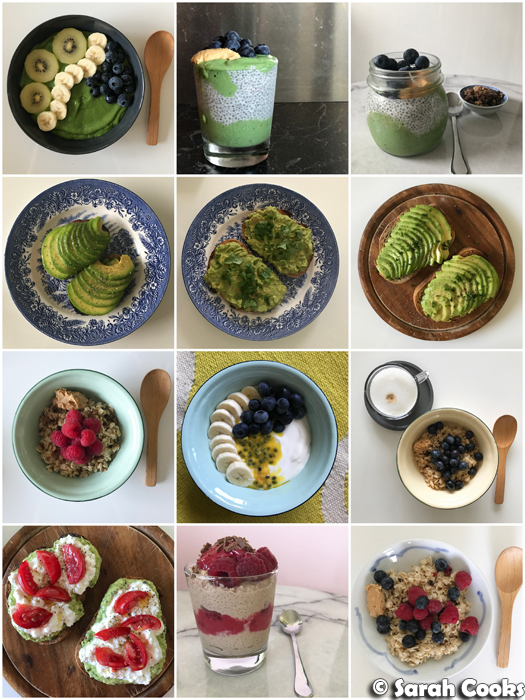 We've got green smoothie bowls, chia puddings, lots of avocado toast, oatmeal, yogurt fruit, and chocolate quinoa bircher with raspberry nice-cream. As you know, I'm deep in meal-prep territory for weekday lunches, so nothing extra to share here. 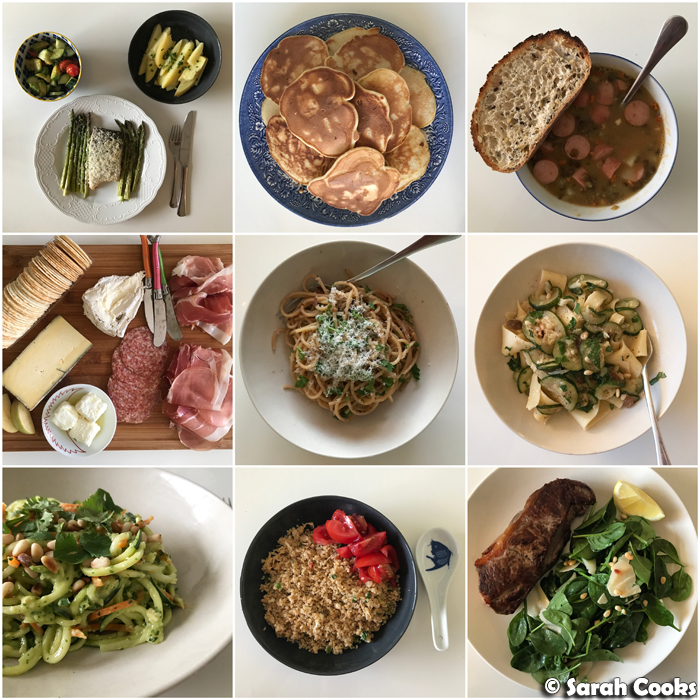 Some home-cooked dinners. (Yes, that is a pile of apple pancakes in that picture, and yes, it was dinner). I discovered a new cheap and cheerful restaurant in the city - New Taipei (273 Swanston St, Melbourne VIC 3000). They do Taiwanese food (think, beef noodles, soup dumplings, meat sauce on rice and so on). I've visited twice this month and am definitely adding it to the regular rotation! The cold sesame noodles are excellent. 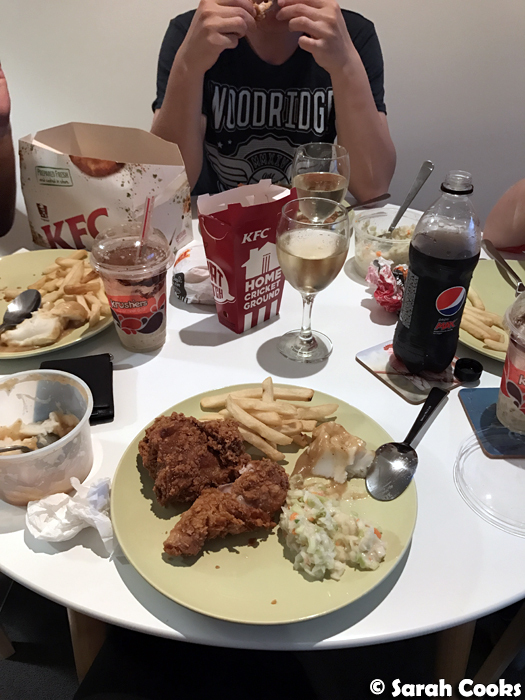 My friend Adri has just moved into her own place, and she had us over for a KFC night! (She's not really into cooking, and we're really into KFC). Hot and Spicy is so good! There was also Veuve Clicquot, and Gaytimes for dessert. Fancy! 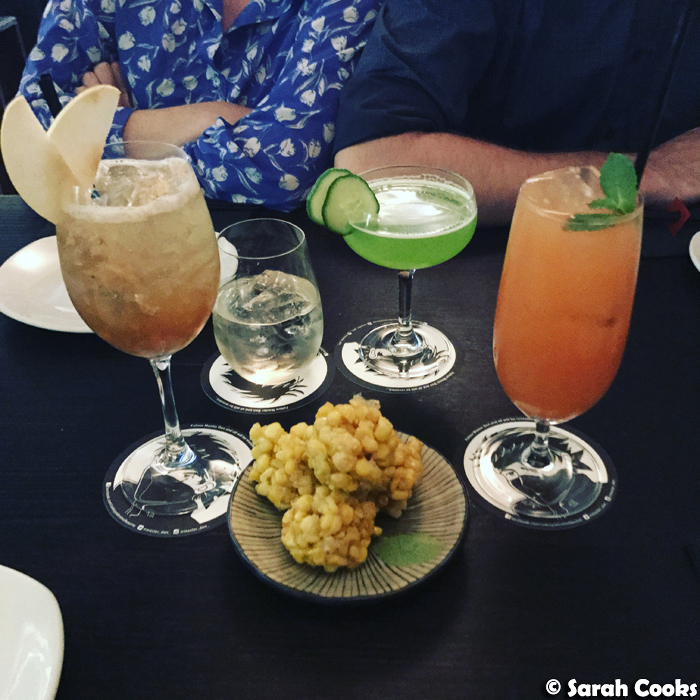 We did Friday night drinks with Jimbo and Jenni at Harley House (71 Collins St, Melbourne VIC 3000), followed by dinner at Izakaya Den (114 Russell St, Melbourne VIC 3000). Tasty fun times! (P.S. 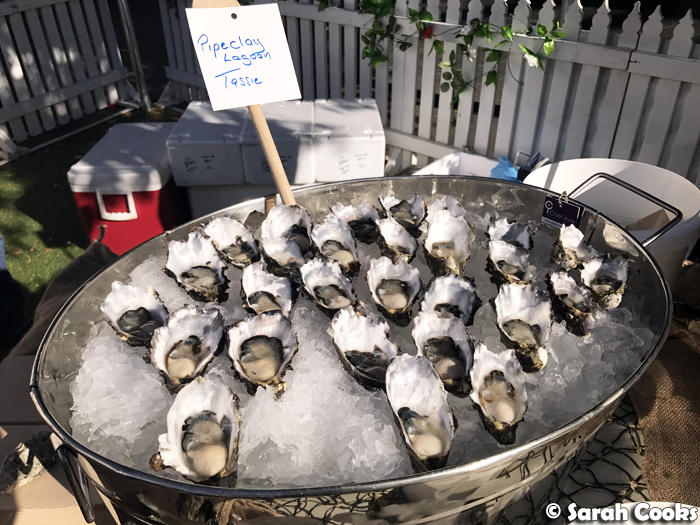 highlights at Izakaya Den were the corn kaki-age, the kingfish sashimi and the fried chicken). 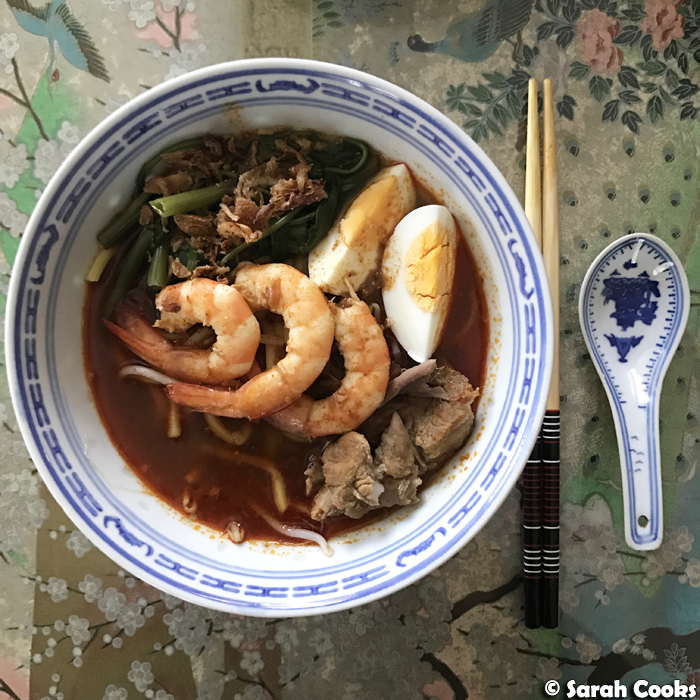 We have dinner at my parents' house once a week, and I wanted to show you this Penang Hokkien Mee my dad made one night. 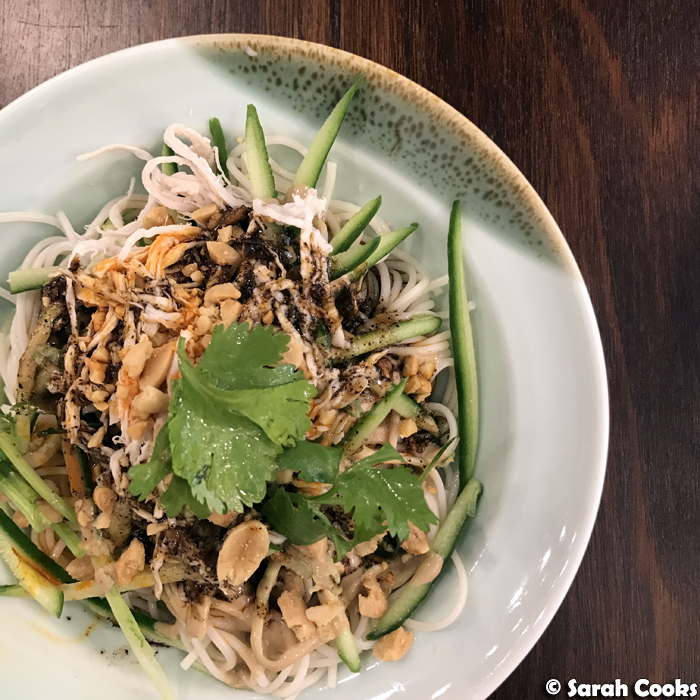 It's a rich spicy prawn and pork stock, with thick yellow noodles, bean shoots, pork bones, prawns, hardboiled eggs, water spinach and crisp fried shallots. BEST. 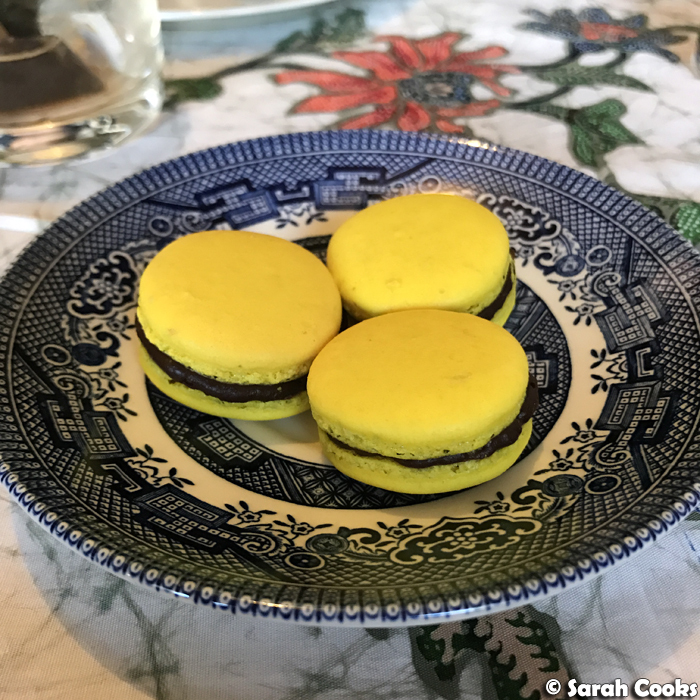 Thrillingly, he also served his homemade macarons! These were lemon shells with a chocolate hazelnut ganache. Delicious. 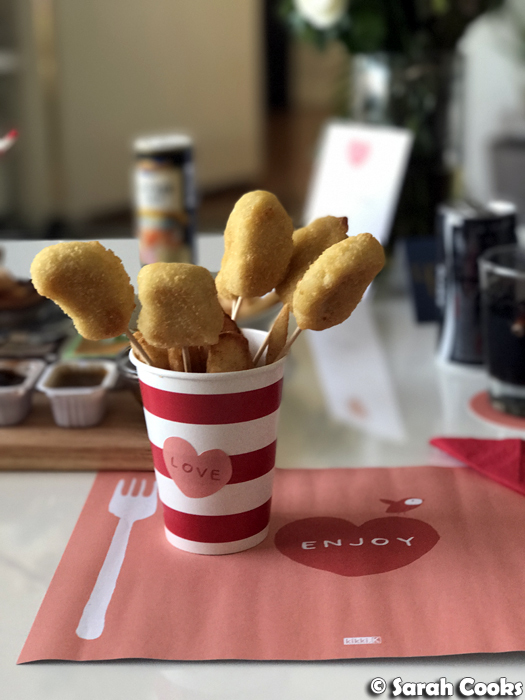 Finally, I wanted to show you a little Chicken Nugget Bouquet I made for Sandra for Valentine's day. Cuteness level: through the roof! Plans for March! A little weekend away, a couple of low-key events, and a few catch-ups with friends. Simple and sweet. I hope you're having a lovely month!